Apple returned to growth during the holiday quarter thanks in large part to iPhone, sales of which hit an all-time high of 78.3 million units with an average selling price of $695, also a record. According to a U.S. Securities and Exchange Commission filing, Apple sold 78.3 million iPhones during its first fiscal quarter of 2017, generating revenue of $54.4 billion. That works out to an ASP of $695 for the company's main money maker. By comparison, iPhone ASP sat at $691 in the year ago period and managed just $619 during the fourth fiscal quarter of 2016. 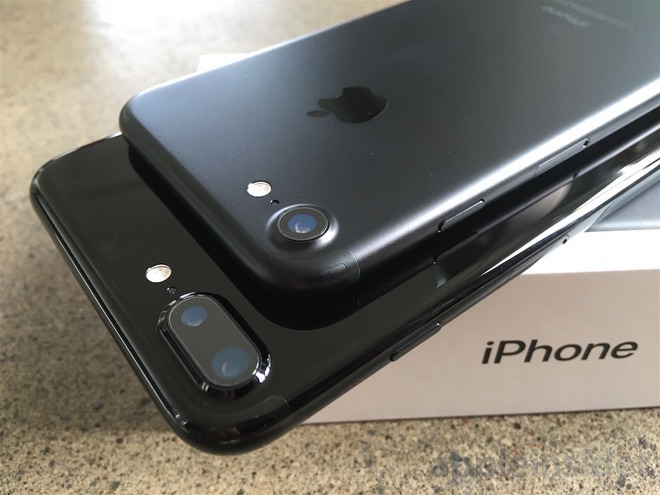 Apple's latest flagship smartphones helped push the needle for the just ended quarter, with strong demand for the larger —and higher margin —iPhone 7 Plus seen as a major ASP driver. During a conference call on Tuesday, Apple CEO Tim Cook said iPhone 7 Plus enjoyed a "higher portion of new product mix than we've ever seen with Plus models in the past." Earlier this month, analysts found Plus models account for some 42 percent of all iPhone sales in the U.S., up from only 26 percent in 2016. In addition to an apparent preference for the 5.5-inch model, 62 percent of buyers opted for more expensive storage upgrades, pushing potential ASPs higher than ever before.